The original Lauren Bag, recently featured in an episode of The Good Doctor on ABC (October 8th, 2018). In this Episode, I sat down with Debra Chin, founder of a company that you’ve probably seen online, MotoChicGear. 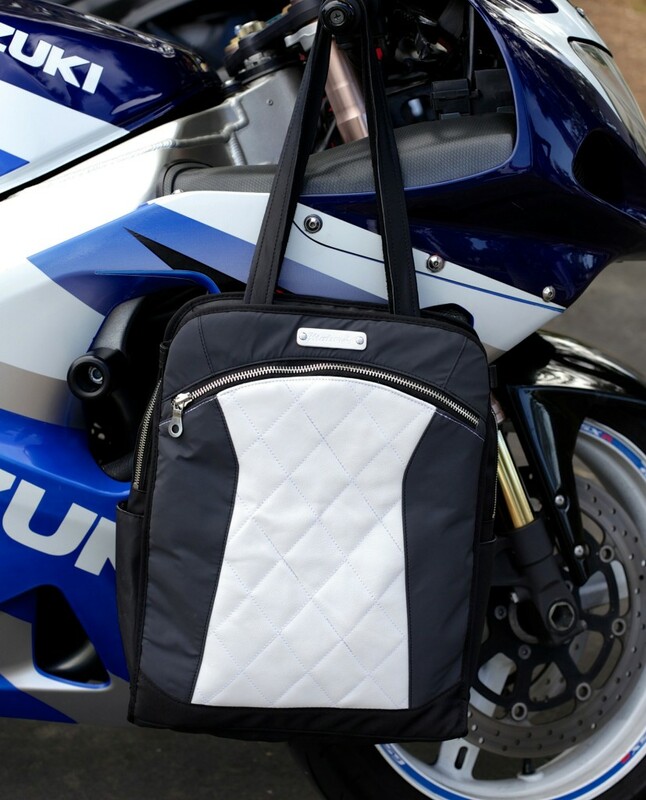 Her Lauren Bag was specifically designed with women riders in mind, which we all know is a smaller percentage of riders in the US overall. I wanted to ask how it feels to be one of the few women of color in our industry making products for us. I rarely see another woman who looks like myself riding motorcycles, let alone selling and making products for women riders. We discussed how challenging it’s been for her to launch her business and tips/advice she can pass along to anyone listening out there hoping to do the same thing. I also asked her to share her experience with offshore production, including what brought her to that decision and the challenges of being a woman motopreneur and getting her products in the door. We covered a lot in almost an hour, so hope you enjoyed it and stay tuned for more in a couple weeks! The Good Doctor: The Lauren Bag was recently featured in an episode of the Good Doctor on ABC. To see the bag in action, you can find it on Season 2, Episode 3.